For decades, the black market for marijuana had been flourishing in Canada. For the longest time, growers, sellers, and users had been rising up to life imprisonment for this pungent herb, which has been illegal in the country since 1923. All this stealth will finally end when the Canadian government finally legalizes recreational marijuana on October 17, 2018. Still, there are some laws and regulations that control the use of this substance. 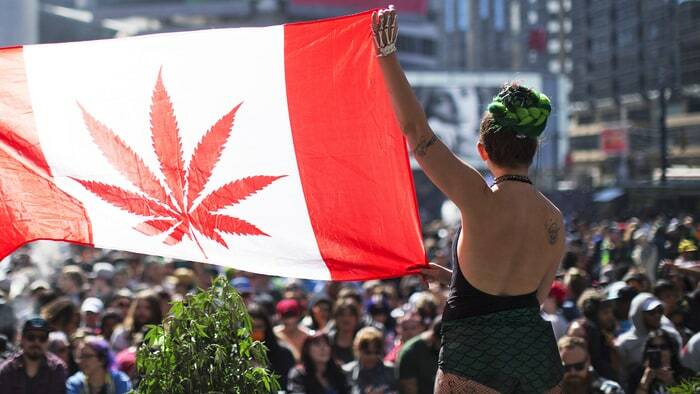 The possession and use of medical weed are legal in Canada. In 2001, the country became the first ever to legalize the use of marijuana for medical purposes. Before this historical ruling, only patients with select severe conditions were allowed to use medical marijuana. They had to have licenses issued by the government and approved by doctors. These licenses were for growing medical weed and appointing a supplier for and possessing dried marijuana buds. The problems with this old system were that the licensing procedure was long and complex and a lot of common and devastating diseases and disorders were not included. Hence, this policy was replaced in 2014, and the new guidelines are what are in effect until the complete restriction on cannabis use in Canada will finally be lifted in October 2018. Nowadays, only a prescription from a Canadian doctor is needed, and the prescription can be for up to 5 grams per day. No license is required anymore, although the buds can be obtained only from sellers pre-approved by Health Canada. Moreover, the definition of medical cannabis has been expanded to cover brownies, teas, and oils as well. With the update in the legalization of recreational marijuana use, certain rules and regulations are still being put in place. It will be called the Cannabis Act, which purposes to accomplish 3 goals: make sure that cannabis does not reach the hands of youth, make sure that profits do not go into the hands of criminals, and protect the health and safety of the public by allowing the adults to have access to safe and legal cannabis. The limits in possessing cannabis as implied in the Cannabis Act are based on dried cannabis. Other equivalents were also created for other products in order to determine the limit of possession. When it comes to buying cannabis seeds, the new Cannabis Act allows for cultivating up to 4 cannabis plants for personal use per residence. There are actually multiple cannabis seed companies already where you can buy marijuana seeds from like Crop King Seeds, Sun West Genetics, and many others. They ship anywhere in Canada and they accept credit cards, Email Money Transfer, Bitcoin, Cash in the Mail, Paypal, etc. Possession in public of up to 30 grams of legal cannabis, whether dried or an equivalent in non-dried form. Share up to a total of 30 grams of legal cannabis with other adult users. Purchase fresh or dried cannabis or cannabis oil coming from a licensed retailer in the provinces. For territories and provinces without any regulated retail framework, adults would be allowed to buy cannabis online from producers who are federally-licensed. Grow from seed up to 4 cannabis plants for personal use per residence. Create cannabis products including food and drinks at home, provided that no organic solvents are used in creating concentrated products. Concentrates and edible products will be made legal for sale about one year after the Cannabis Act takes effect on October 17, 2018. This coming October 17, 2018, territorial, provincial and federal governments share the responsibility when it comes to the oversight of the proposed new system. The responsibility of the Federal government is to set strict requirements for cannabis producers who manufacture and grow cannabis. This also includes the creation of industry-wide standards and rules, which include the types of cannabis items that are available for sale, labeling and packaging requirements for the products, and the standardization of the potency and serving sizes. This standardization also includes setting up prohibitions regarding the use of specific ingredients, and the implementation of good production practices. To ensure quality regarding the process, it also involves tracking the requirements of the cannabis from seed to sale, making sure that it stays out of the illegal market. On the other hand, territories and provinces are also responsible for the development, implementation, maintenance, and the enforcement of systems that will oversight the sale and distribution of cannabis. They can also add their safety measures, including the increase of the minimum age requirement in their territory or province, but not lowering it, lowering the personal limit of possession in their jurisdiction, creation of additional rules for growing cannabis at home, including lowering the number of plants allowed per residence. They can also set restrictions where adults are allowed to consume cannabis.